Did you know that SpecMasters is rated the #1 training program in the industry by participants? Annually, SpecChem invites distributor salespeople to Kansas City for an in-depth look at SpecChem and our high performance products. Through in-depth, and sometimes entertaining, classroom presentations and in-plant, hands-on demonstrations, we teach the features, benefits and value related to our trio of SpecChem products, extensive industry expertise and superior customer services. 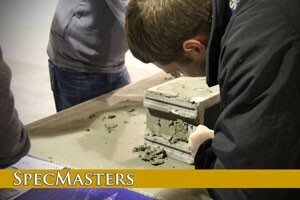 SpecMasters is unlike any other training program you have ever experienced! For more information, contact your SpecChem professional.